Users who love their multimedia files like videos, music, and photos can use all the storage space that they can get. Thus, it’s important to invest in good, dependable hard drives. We’re referring to the ones that will provide you with ample storage space, good speeds, and a price that makes sense. With that said, it’s hard to go wrong with the hard drives that Western Digital has to offer. For this post, we’ll talk about the best Western Digital hard drives that you can find in the market. The Western Digital Corporation or WDC is a computer data storage company based in the U.S. and is one of the most prominent manufacturers of hard disk drives, side by side with its main competitor, Seagate Technology. It’s interesting that WD was founded back in the 1970s by Alvin B. Phillips who is actually a Motorola employee. The company initially manufactured MOS test equipment before they eventually moved on to making specialty conductors. These days, WD is mainly a manufacturer of hard drives. They also make software utility suites like the Acronis WD Edition (used to be Data Lifeguard Tools). For this list, we will be including all hard drive products of Western Digital. This means that you’ll see SATA drives, SSDs, as well as external hard drives. 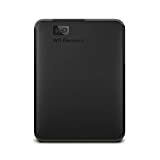 The WD 4TB Black My Passport is what most people want from their external hard drive. This 4TB drive is housed inside a 15mm-thick casing so it’s not as thin when compared to other lower capacity units. The drive is approximately 4.25 inches long, 3.1 inches wide, and weighs about 8 ounces. As far as portability goes, this portable drive just gets the job done. The drive is also available in a variety of hues such as black, orange, blue, yellow, black-gray, and white gold. It does have a 4TB capacity, which should be more than enough to store your collection of multimedia files. If you think that 4TB is too much, the drive is also available in 1TB, 2TB, and 3TB variants for less money, of course. The performance is fast for the most part but it does run into some bumps when transferring larger files. Overall, it’s a great, high-capacity external hard drive for a great price. The WD Blue SATA is perhaps the vanilla milkshake of storage devices. It’s safe, reliable, and you know exactly what you are getting. In case you don’t know, WD designates color categories to their products. Blue means that it’s a solid and reliable device that you can use for everyday computing. Green is for energy-efficient devices but with slower performance. Black drives are high performance products. Anyway, the WD Blue SATA is a hard drive that just works. While the performance can only be described as average, it has some pretty good features like IntelliSeek, Data Lifeguard, and the NoTouch Ramp Load Technology. The average user will likely not use these features, but this is still a storage solution that will serve you for a long time. Best of all, this hard driver won’t cost you an arm and leg. If you’re looking for a SATA drive with good reliability and ample storage space, it’s hard to go wrong with WD Blue. Back in 2016, a couple of months after the acquisition of SanDisk, Western Digital has released their own line of SSDs under the WD brand. The WD Blue SSD is one of the first SSDs that the company has released. Again, this is a Blue SSD, so you can expect mainstream performance from this storage solution. As an SSD storage device, this one is optimized for multitasking along with other high-end computing tasks. It gives a respectable 545MB/s read speeds and 525MB/s write speeds. Like the majority of Blue labeled WD products, the WD Blue SSD doesn’t exactly break new ground. When compared to the SanDisk X400, the hardware is almost identical but with re-tuned firmware. The WD Blue trades some storage capacity in favor of increased write endurance. If you are an enthusiast or a heavy gamer, this SSD is definitely worth checking out. A few years ago, if you wanted an external hard drive with 4TB capacity, it will cost you an arm and leg. Thankfully, that’s not the case anymore. The WD 4TB Elements is yet another reliable and cheap way to expand your storage. The WD Elements is a no-fuss solution for storing backups of all your important data. You don’t want to keep all your important files in your PC or laptop since these devices are prone to viruses and other potential threats. Having an external drive like WD Elements is a great way to safeguard your data just in things suddenly go south. Unfortunately, this external drive doesn’t feature any backup software. However, you can always download a backup software on your own or just manually copy all the files to the drive. This is a true portable drive that can easily fit in your pocket or backpack. 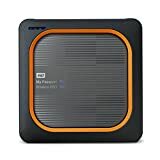 Like with most WD products on this list, this is a cheap and reliable external drive that’s worth the money. Power users and enthusiasts will have a lot to like about the WD Black 2TB. These days, SATA hard drives are now notoriously slow when compared to SSDs. However, the WD Black might just change a few minds. The WD Black series promises fast HDD speeds with a low price/gigabyte ratio. This 2TB hard drive runs on 7200RPM and 64MB cache. Based on our tests, the WD Black delivers in terms of performance. In some cases, the drive runs even faster than the marketed speeds, which is nothing short of impressive. We’ve tested the drive with games and as expected, we experienced shorter loading times. It’s not SSD-fast, but it’s getting there. If you can get the 128MB model, then we can only assume that you’ll get even faster speeds. For such a high-performance and high capacity storage, the price is just a little bit below $120. That’s a great value if I’ve ever seen one. The WD 8TB My Cloud EX2 is one of the more popular products by WD in its My Cloud series of NAS servers. Setting up the My Cloud EX2 is about as simple as it gets. Just plug the NAS into your network and enable it. Then, you just need to visit the MyCloud setup website to find the network. The setup application will just walk you through the rest of the steps like setting up your passwords and accounts. The WD My Cloud EX2 displayed some pretty fast transfer speeds. However, the mobile app leaves a lot to be desired. The software only supports a limited number of file formats and has no search function whatsoever. The price is also quite reasonable for a NAS device. However, you might want to consider getting the higher capacity depending on your needs and how many people will use it. Even an 8TB NAS will fill up pretty fast. With that said, the My Cloud EX2 is great for households of 5-10 persons or a small office. The WD 500GB My Passport Wireless SSD is catered towards the photo-savvy users. Nowadays, smartphones are capable of taking stunning video and images. So if your life is worth being documented by each and every moment, you’ll find yourself running out of storage space. This is where a wireless SSD device can come in handy. The My Passport Wireless SSD can be used to wirelessly transfer files from your phone to the SSD, for backup purposes. Since it’s an SSD instead of a spinning drive, file transfer speeds will be very fast. It also sports a compact and rugged design so you can take it with you everywhere. Another thing that we like about this wireless SSD is the My Cloud app, which you can download from your mobile device. It can be confusing to set up and use the app at first but once you get it down, you’ll be wirelessly transferring files in no time. You can use the app to view all the files that are stored in the SSD, which is pretty great. The only downside is that the wired connection is just limited to USB 3.0, which is not as fast as the Thunderbolt 3. Despite that, you can be 100% confident that your files will be backed up. So this concludes our list of the best Western Digital hard drives that you can find in the wild. While making the list, we tried to cover every type of storage devices as well as consider many different needs. Of course, the budget also comes into play here. Hopefully, we have helped you find the right Western Digital hard drives that will properly cater to your needs. Overall, I really love the WD 4TB Black My Passport and WD Black 2TB. Both devices are solid, reliable, and boasts good performance. Both of these devices pretty much meet all of my needs as a power user. 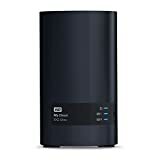 So what’s your favorite WD storage device out of the list? Do you have a particular favorite that we didn’t list above? We’d love to hear your thoughts in the comments below!